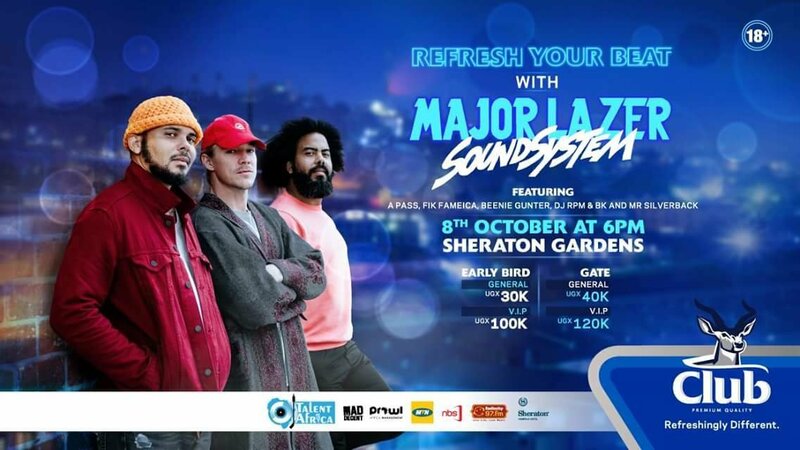 Uganda’s leading beer company Nile Breweries Limited which is well known for sponsoring and organizing events for top entertainers both local and foreigners have striked again and this time in a completely different manner by investing millions of money in an event organised on 8th October 2018 where American Dance trio group Major Lazer made up of Diplo, Walshy Fire and Jillionaire alongside Uganda’s current top artistes like Fik Fameika, A Pass, Beenie Gunter, Siverback and DJEFFAFROZILLA from Angola among several others. According Mr. Robert Nsibirwa, Club Pilsners brand manager while addressing some of the visitors and journalists at NBL Service center in Luzira revealed that Club Pilsner will be injecting at least 300,000 US dollars in this show in order to give their customers a refreshingly different taste and a VIP treatment on the 8th October 2018 at the Kampala Sheraton gardens. “Club has always been at the forefront of great experiences in Uganda. We have brought to our customers some of the most memorable acts that the country has seen. We are not about to stop and this concert is a testament of our commitment to keep our resolve fresh and never let our beat dull” said Nsibirwa. Major Lazer is a leading American electronic Dance music trio with several hit songs registered on their name which includes Pon de floor featuring Jamaica’s Vybz Kartel released in 2009, watch for this (Bumaye) released in 2013 featuring Busy Signal, The Flexucans, and FS Green, Be together featuring Wild Belle released in 2015, Jah No partial featuring Pavillion in 2013, Hold the line featuring Mr. Lexx and Santigold in 2009, Light it up featuring Nyla and Fuse ODG in 2015,Powerful featuring Tarrus Riley and Ellie Goulding, Lean on featuring DJ Snake and MO, and Cold water featuring Justine Bieber among several other hit songs. The group which was established in 2008 by Diplo and Switch whom later left and replaced by Walshy Fire and Jillionaire has registered several successes, won hundreds of international awards and performed in tens of countries around the globe. 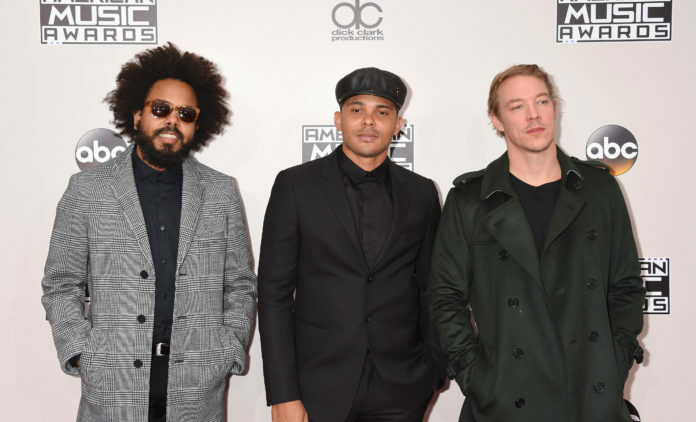 In March 2018, Billboard named Major Lazer as number five on the 2018 ranking of dance musicians called Billboard Dance 100. It is then the beautiful experience letting you know that your favourite beer Club Pilsner a product of Nile Breweries Limited has officially announced the coming of this trio to Uganda. After his successful show held at Kampala Golf Course Hotel last year, Diplo will be performing again in Uganda alongside his friends Washy Fire and Jillionaire on 8th October 2018 in Kampala at Sheraton gardens.